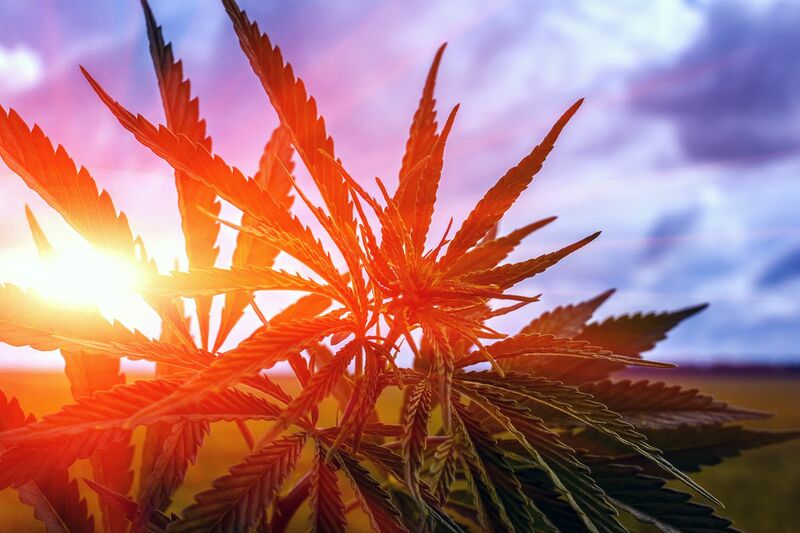 Just a few months into 2019, and it’s proving to be another wild year for the cannabis industry. More states will legalize cannabis both for medical and recreational use, and pressure is mounting on the federal government to follow suit. Here are some trends to watch. 1. Big Pharma gets in on cannabis. In 2018, several big-name alcohol and tobacco brands started to hedge sales losses by partnering with cannabis companies or starting their own forays into the industry. Altria, the maker of Marlboro, put $1.8 billion into Cronos Group. Constellation Brands, which produces Corona beer and dozens of other brands, invested nearly $4 billion in Canopy Growth to make a bet on cannabis-infused beverages. Taking a different approach, Heineken developed its own cannabis-infused beverage Hi-Fi Hops. This year look for pharmaceutical companies to make strategic investments as the population ages and demand for CBD products rise. Pharma and cannabis have natural synergies. People are using CBD for dozens of conditions: Cancer, anxiety, depression, chronic pain, Parkinson’s, glaucoma, and the list goes on. With CBD now legal in 31 states, I predict we’ll begin to see more pharmaceutical companies approaching cannabis companies for strategic partnerships. It doesn’t hurt that recent industry reports put the potential market size of cannabinoid-based pharmaceuticals at $50 billion annually. Novartis, the fourth-largest pharmaceutical company in the country, led the way in 2018 by partnering with the grower Tilray to develop and market new products for its Sandoz division. GW Pharmaceuticals also had a breakthrough moment when the FDA approved Epidiolex, a CBD drug that is used to treat seizures. That lends legitimacy not only to cannabis growers but to other drug makers who are waiting to bring the first cannabinoid-based blockbuster drug to market. 2. Micro-dosing becomes a big market. Sometimes less is better. That’s certainly the case when it comes to micro-dosing – a trend that’s gaining broader appeal. The practice allows consumers to experience the benefits of cannabis without the psychoactive effects that can interfere with daily routines. Micro-dosing has typically been popular with older consumers, but it’s also a good entry point for new cannabis users and those who want to move towards a lifestyle that incorporates regular use. With more consumers in every category focused on health and wellness, companies have been quick to support them with cannabis products that promote responsibility and moderation. Consider that just a few years ago, consumers couldn’t find low-dose strains of THC — those between 8-12 percent — at dispensaries. Now low dose strains are considered a valuable category. Mints, chocolates, honey, and tea are typical offerings. Tinctures are another fast-growth area since you can administer them in low-dose drops. According to our internal data, tinctures are one of the fastest-growing categories on our web-based wholesale marketplace platform, with a 438 percent year-over-year increase in the number of products available. That growth is continuing this year. In January, we added 78 unique tincture products into the LeafLink platform — an average of 3.25 new tinctures a day. Expect a broad and exciting expansion of all products in this category with a range of products that offer a more tame experience. 3. CBD breaks away from cannabis. This year, CBD will distance itself from its sibling cannabis. CBD is a compound found in both hemp and cannabis plants known for its healing properties without psychoactive effect. Thanks to the 2018 Farm Bill that removed hemp-derived products from the list of schedule one narcotics, we’ve already seen a dramatic increase in popularity and accessibility of hemp-derived CBD products across the country. Hemp grows quickly, requires little water and can be planted close together. It’s a farmer’s dream crop. According to VoteHemp’s 2017 US Hemp Crop Report, farmers grew only 25,000 acres of hemp across the entire nation in 2017 — that’s about the size of Disney World. And of that 70 percent was used to make CBD oil. So there’s room to grow. 4. Inter-state commerce builds momentum. The federal government prohibits interstate commerce of any cannabis products due to its classification as a schedule one narcotic. But in Oregon, momentum is building around interstate commerce. The state’s overproduction in 2018 caused cannabis prices to plummet by 40 percent. Meanwhile, there is plenty of demand in other states where recreational and medical cannabis are legal. Now, Oregon’s Craft Cannabis Alliance is championing a plan first proposed in 2017, which would permit interstate transfers of cannabis products with adjacent legal states that comply with specific testing, packaging and labeling rules, as well as regulations established by partner states. The original bill died in the State’s House. But Oregon’s Craft Cannabis Alliance believes the state’s prowess in production combined with the plant’s surging popularity provide a reason for a second look by state legislators. Passage could pave the way for a smooth and immediate jump into interstate commerce once federal lawmakers ease regulations. And while it may take some time for the government to legalize all cannabis products, two Oregon senators petitioned the U.S. Food and Drug Administration in January to modernize “outdated regulations” that forbid food products containing CBD to cross state lines. At this writing, there hasn‘t been a response to the letter. But the two initiatives make clear that Oregon is aiming to be a first-mover once federal departments give the green light. 5. Public companies grow up. After feverish IPOs and bullish predictions, a spat of weak earnings from early-moving market leaders in late 2018 caused everyone to take a hard look at where opportunity resides in the market. Institutional investors like Goldman Sachs and JP Morgan advising companies investing in cannabis signals the adults are entering the room and the industry is growing up. For their part, cannabis companies will need to forecast numbers and then solidly perform. That means scaling the business to meet demand while keeping spending in check. That’s been a problem for companies who have been losing money even as they win business licenses. The scrutiny will be positive for the industry, separating those companies backed by a viable business plan and disciplined leaders from startups who flourished thanks to the hype. No matter what happens, everyone should expect the competition among cannabis companies to increase even as we wait for more regulatory dominos to fall into place during 2019. Companies that build strong brands, spend wisely and stay consumer-focused will be in a position to capitalize on the considerable growth opportunities that will open up this year and beyond.